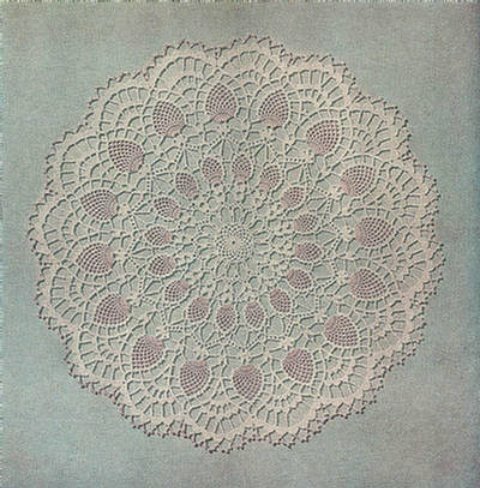 Delicate lacy pineapple centerpiece or large doily vintage crochet pattern. Makes a 17" doily using size 20 thread and a number 12 crochet hook. Abbreviations and terms included. Easy to read.